If you are working on home recordings and are interested in taking your project to the next level, you may be interested in drum recording or overdub sessions at The Record Shop nashville recording studio. Drum recording and overdub sessions can be done on location or streamed live online. The Record Shop can provide a variety of studio spaces for drum recording. Some projects call for a tight and present approach, while others may need a larger than life stadium vibe. Either way, we have a space that will provide the sound you’re looking for. The first step is sending us a link to your current recordings, or a message with details regarding the project. Once we have a feel for the type of drum sound you are looking to achieve, we will suggest a few options to find the studio space that fits your needs. The preparation for a drum recording session is very similar to our Record production and Demo Production methods. We begin with a basic pre-production discussion to learn the type of drum sounds your looking for and the overall vibe of the project. If you have the drummer that will be playing on the session, we will discuss the setup, drum choices, and production approach to prepare the drummer for the recording process. If you are interested in hiring a session drummer for the session, we will provide a list of players that fit the style that you are looking for, and help you choose the best player for the recording. Our studio offers a 4 piece DW studio kit and a variety of snare options. We also have access to an endless selection of drum options that are available for rent. Once the drum recording is complete, we will provide the entire, edited Pro Tools session, individual WAV files of the tracks, and a collection of drum samples that can be used for enhancement upon mixing. One of the great things about a Nashville recording studio, is having access to many of the best musicians in the world. 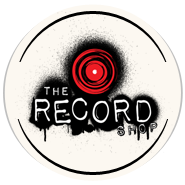 If you are looking to enhance your recordings with basic overdubs, or auxiliary instrumentation, The Record Shop has got you covered! If you are a musician or band in need of a facility to record overdubs for your project, we can help you with that as well! Our studio offers a wide variety of guitars, amps, and basses. As well as a Steinway piano, Fender Rhodes, and Hammond organ. Essay writing service or for any report writing service, visit our site. We start by discussing the tone you are after and choose the player that will best fit the vibe of the material. If you are not in the Nashville area, we can stream the session live so you can provide input during the recording process. Once the recording is complete, we will send you the files in your preferred format. Give us a call today to learn how we can help you take your recordings to the next level!